Sierra Castedo is the director of the Center for Students in Recovery in Austin. Alcohol is so ubiquitous in Austin you’d be hard-pressed to find a place where you can’t get a drink. We aren’t talking just about restaurants and bars here. Think of coffee shops, taco stands, bakeries, hair salons, festivals, farmers markets – even workspaces, in some instances. For most of us, this is just part of living in Austin. It might even be part of what you love about the city — part of Austin's charm, right? This is a place where you can kick back and grab a beer with friends practically anywhere. But what if you are trying to be sober? 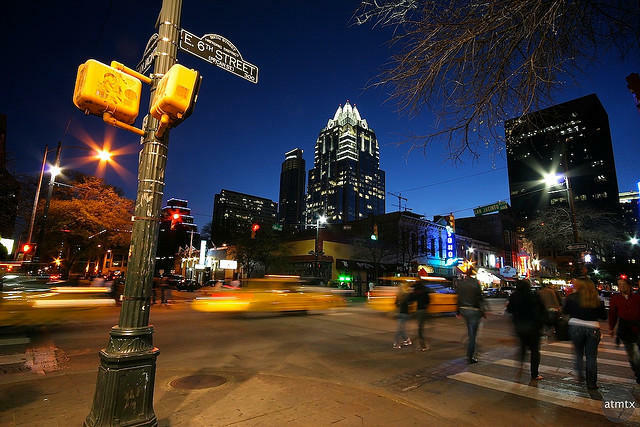 Usually when we talk about alcohol use in Austin, we talk about it as a public safety issue. 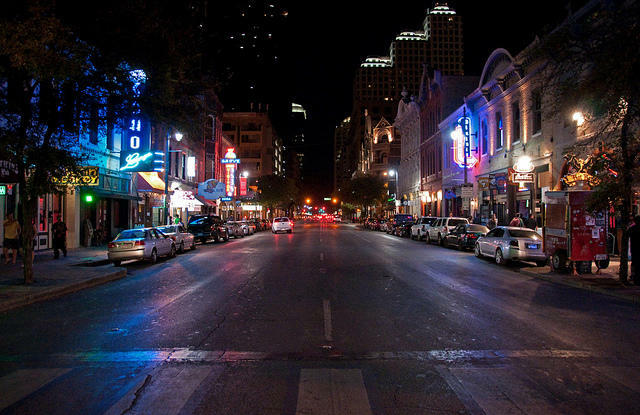 Concerns about Austin’s party culture got some attention back in 2014, for instance, when a man drunkenly drove through barricades and killed four people and injured many others during SXSW. But there are other societal costs – particularly if you are sober. Or trying to be. 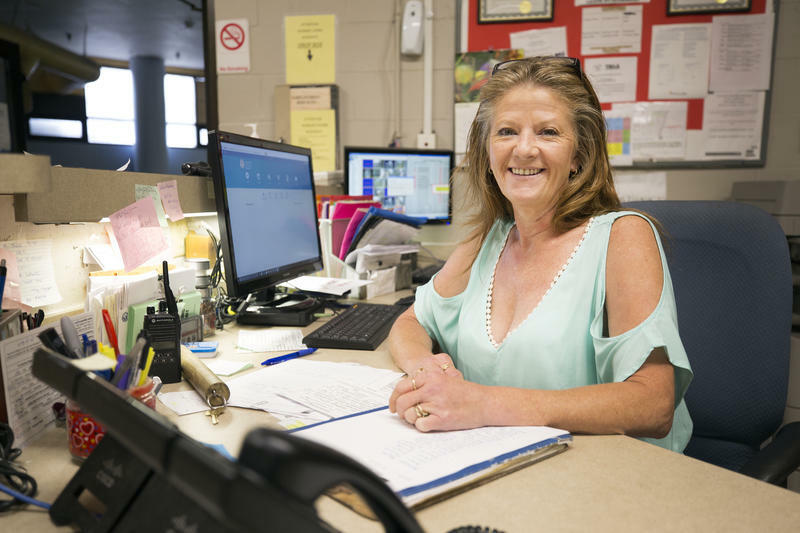 Ivana Grahovac, t​he executive director of Austin Recovery Treatment Center, is in long-term recovery. She says getting clean in Austin is a mixed bag. On the one hand, there are a lot of treatment centers. Getting help is easier here than in other parts of the state, especially if you don’t make a lot of money. But, this is a college town and a party town. People drink a lot here, and Grahovac says it’s something they talk about all the time, too. She says even while she’s working out in a group class, people are talking about drinking. “The Barre studio that I frequent, they constantly make references to ‘and now you can have that tequila, you can go get your margarita, imagine that there is a champagne glass on your leg,’” she says. "The biggest part of getting sober is really just finding a new group of friends who are your age who you have fun with." Grahovac has been sober for more than a decade. She says she’s gotten the hang of being around alcohol and not feeling triggered. But not everyone in recovery is there yet. And, she says, Austin’s alcohol culture can be exhausting if you are struggling to stay sober. “Imagine that you are holding up a long wooden beam,” Grahovac says. “And if you were to carry that long wooden beam above your head all day you would get very, very tired, if you had to do it by yourself. 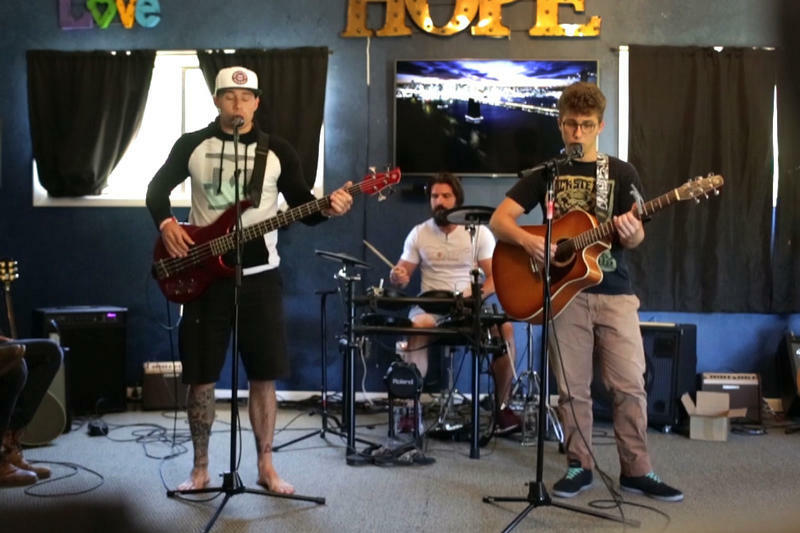 In many ways, that’s what trying to achieve sobriety and maintain sobriety and a life of recovery is like." Grahovac says when someone in recovery asks other people for help, it’s like having someone help hold up that beam. “And when you are in environments where they are constantly beaming out messages of drinking, partying, boozing, inebriation, it’s as if suddenly people around you are pressing down on that beam,” she says. One of the first things people working on sobriety are told is to find other people in recovery — people to help hold up that beam. This is why being in recovery in Austin is actually a good thing. Despite the party culture here, Berry says, you’d be surprised how many young people are living a sober lifestyle in Austin. Berry says he found his way into a group of guys in recovery he could relate to. They had professional goals, and they also had a lot of fun. Berry says they went to dinners, movies, concerts – they were in volleyball league and a football league. Berry found his support group at Center for Students in Recovery at UT Austin. He now helps others get clean and says he’s at a place of neutrality with alcohol. He says he can walk into bars and concerts, and he’s just not thinking about the fact that there’s alcohol around him and he can’t have any. It’s like that for other people, too. 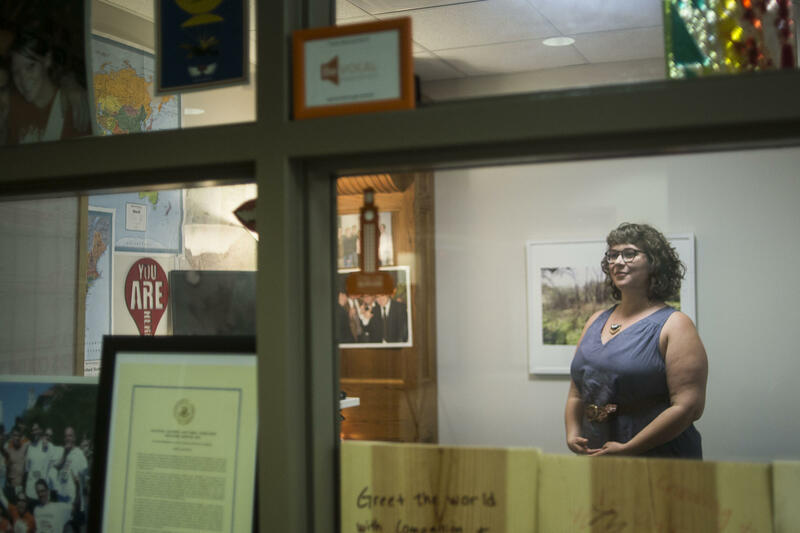 Sierra Castedo, the director of the Center for Students in Recovery, has been sober for three and a half years. Like Berry, she says she’s happier, more social and just better now. She says being surrounded by alcohol doesn’t get to her. The only little thing Castedo wishes, though, is that restaurants and bars would have more options for people not interested in alcohol – like mocktails. She says there are a lot of reasons people choose not to drink, and it would be great if that were represented on menus. And that’s the long game that Grahovac is looking at. The way we talk about addiction is slowly changing. Grahovac says substance-use disorders are slowly becoming less secretive and less stigmatized, but there’s more work to be done. “It’s time to evolve in consciousness and say, ‘Hey, we are aware that there are 20 percent in this population who are either struggling with some substances or they are acutely dependent and trying to recover, so let’s make room for them, too,’” she says. Grahovac says there are two big things that need to happen: One, people in recovery should start being more open about their sober lifestyle — to make their existence in the community known; and two: People not in that lifestyle should make room – safe spaces – for people in recovery. In the long run, she says, she’d like to see ally training in schools, health care and workplaces. Then, the city’s sober and not-sober communities won’t really feel like two separate Austins anymore. Austin police are wrapping up another no refusal weekend. That means people stopped for suspected drunk driving can have blood drawn if they refuse a breathalyzer. But drivers aren't the only people that have to make sure they're following the law: Bars could be liable for overserved customers as well. People struggling with alcoholism can trace their addiction to a population of neurons in the brain that, when stimulated, influence whether one drink leads to two. 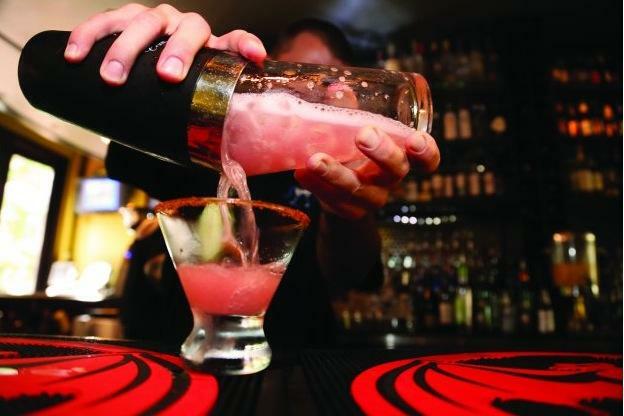 Could Liability Insurance for Bars Curb Drunk Driving? This legislative session, Arlington Rep. Chris Turner pre-filed a bill that would hold bars responsible for the behavior of over-served customers, requiring all bars in the state carry minimum liability insurance. While Turner’s bill may seem onerous to some bar owners, he argues his proposal to require bars to have insure bars would insulate owners from lawsuits and, ultimately, curb drunk driving. If you order a mixed drink in Texas tomorrow, you might see the price on your bill higher than what you’re used to. That’s because of a new state law that goes into effect on Jan. 1. In Texas, if a bar sells you a mixed drink, it has to give 14 percent of what you pay back to the state. And that tax doesn’t show up on your receipt. If the bar only sells beer and wine, it doesn't pay that tax. In that case the customer pays a sales tax of 8.25 percent. And that does show up on the receipt. Tomorrow – on Jan. 1 – a new law goes into effect, which changes that.